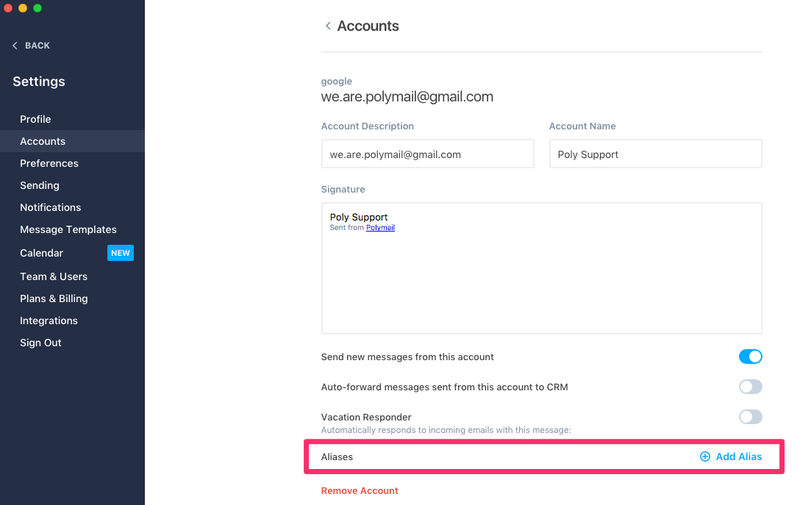 Once you have your email aliases configured on your Google, iCloud, Outlook, or IMAP account by checking your email service provider's settings, you can go ahead and add them to your Polymail account. 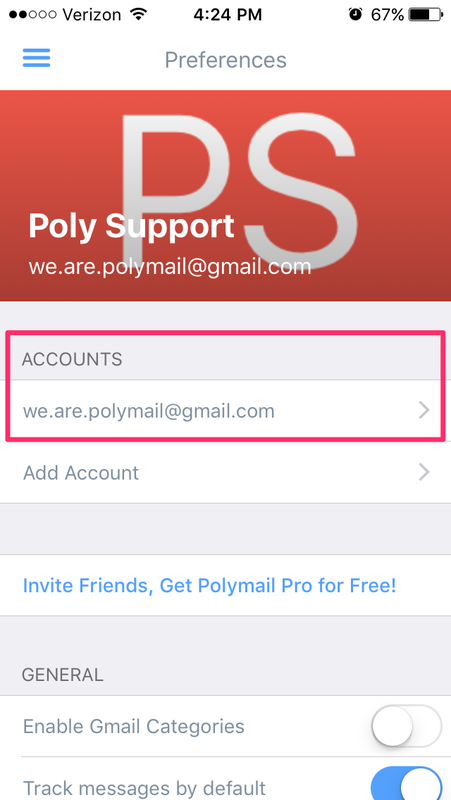 You'll see your email addresses listed here. 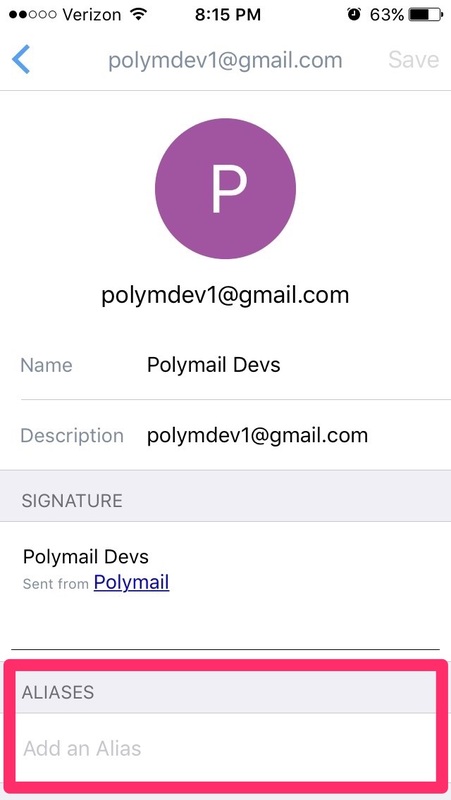 Click into the email address you'd like to add your alias to. 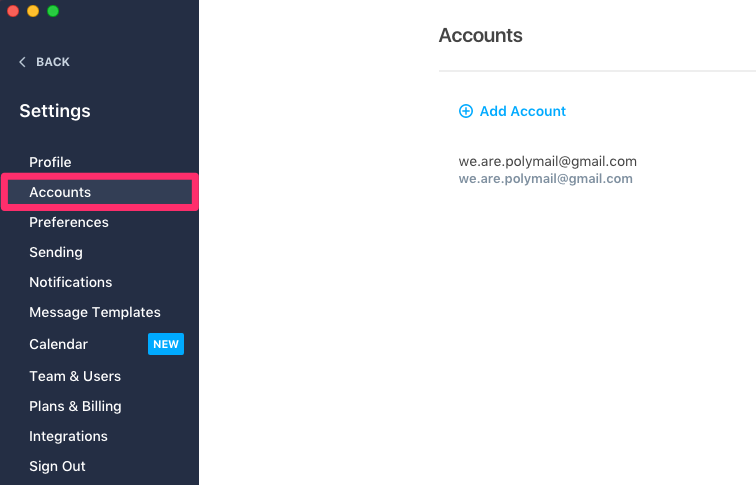 Open Polymail and click the menu icon in the top left corner (three horizontal lines) to pull up our menu. Scroll down to the bottom of the menu and click on the gear icon to get to your Preferences.